The Dog Walk and Pet Fair was held again on the campus of Brookdale Community College in Lincroft, New Jersey and the gods must love dogs because it seems that each time I attend this event, Fall or Spring, it turns out to be a beautiful day. Thousands of attendees and their beautiful dogs attended the event and we are told that the dog walk events help to raise over $100,000 to enable the MCSPCA to do their good work. It always amazes me that the hundreds of dogs in attendance always seem to be on their best behavior. They all greeted each other with a sniff or two, a tail wag and it doesn’t matter if the dog is big or small, they all seem to get along just fine. If you have a notion of what heaven is like for dogs, go to the next dog walk and you will see. It is a love fest of animals and humans and one you should not miss, even if you don’t have a dog of your own. The campus was filled with activities from animal friendly vendors that offered interesting doggie goodies, clothing, toys and services. There was Fun For Pets, that included an agility ring, a wedding chapel, and our favorite the canine cutest tricks contest. The contest that seemed to feature the most popular dog tricks: Sit, Stay, High 5, Walk On Two Legs, Play Dead, Spin, Paw, and others. Fun for everyone, especially when a dog is concentrating more on the treat than the tricks. The Sheriff’s Department also put on their Police Canine Demonstration, which was interesting. 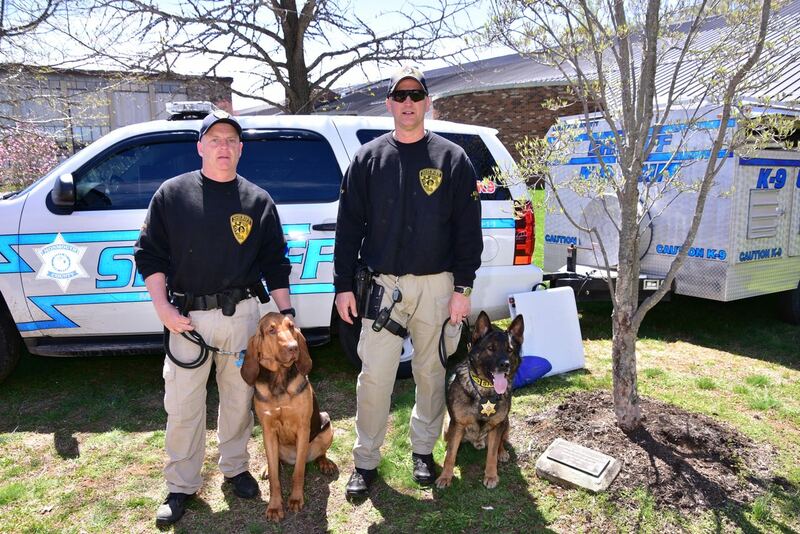 Learning and seeing the abilities of officer Kurt Kroeper’s Bloodhound Skye and his tracking capability and Officer’s Jay Aretino’s German Shepard Ari showed who can detect narcotics and take down even the most dangerous criminals. They told us the dogs are working dogs when they are on duty and pets at home. We noticed even more people were stressing the importance of knowing why you should never buy a dog or cat at a pet or puppy shop. We all must stop this cycle of buying dogs from these stores who buy their dogs from notorious puppy mills. The nations largest puppy mill community is in the Amish Country of Pennsylvania that house and breed their animals in inhumane conditions. This year with the passage of the New Jersey bill S1870 Governer Christie took a giant step in stopping the stores and puppy mills from profiting from this horrible business. We met Nancy Sasso, a Holmdel resident, at the FAUN NJ table who told us the story of her pup Lola. She bought her son a playful, energetic Chihuahua from a pet store and named it Lola. But after a while, Lola began having seizures. She went blind. It turned out she had encephalitis – a brain infection that a veterinary neurologist told her was probably passed to her at birth from her mother, who would have acquired it from rodent feces at the breeding facility. Although Nancy said she spent thousands on medical treatment, Lola died before reaching two years of age. The bill (S1870) would require every pet store selling cats and dogs to post information about their breeders and brokers on their enclsoures, including names and addresses, and make available the last two years of their USDA inspection reports. “This new law is critical to our continued effort to end the inhumane treatment of dogs in commercial breeding facilities that exploit both dogs and consumers in pursuit of profit, Debora Bresch, senior director of ASPCA Government Relations for the Mid-Atlantic region, said in a statement. The bill, which breezed through the Legislature without opposition, was championed by Bruce Springsteen’s daughter in a letter to Christie. Stores face $500 fines for each violation of the new law, which takes effect in the summer. We agreed on the importance, for those of us that have public voices, to spread the word and to inform people about pet shop puppies and where they come from. At the same time we should all encourage them to support the many rescue shelters, like the ones run by and supported by the MCSPCA. We were happy to meet the NJ State Director for the Humane Society of the United States, Kathleen Schatzmann who was there to support the states efforts to stop the puppy mills in our state. The walk always has a 50/50 drawing and last year one lucky winner walked away with over $25,000 dollars. What a great drawing, it raised as much for the MCSPCA as it did for the winner and added a lot of excitement to all of the ticket holders at the event. This event is their biggest fund raising venture and last year it raised over $130,000, haven’t seen the latest numbers yet, but can only assume it was even greater this year. So many hard-working and generous people have made this event a success. If you purchased a dog from a puppy store it may not be purebred as promised. I urge you to buy a dog DNA test online or visit your vet for a test. 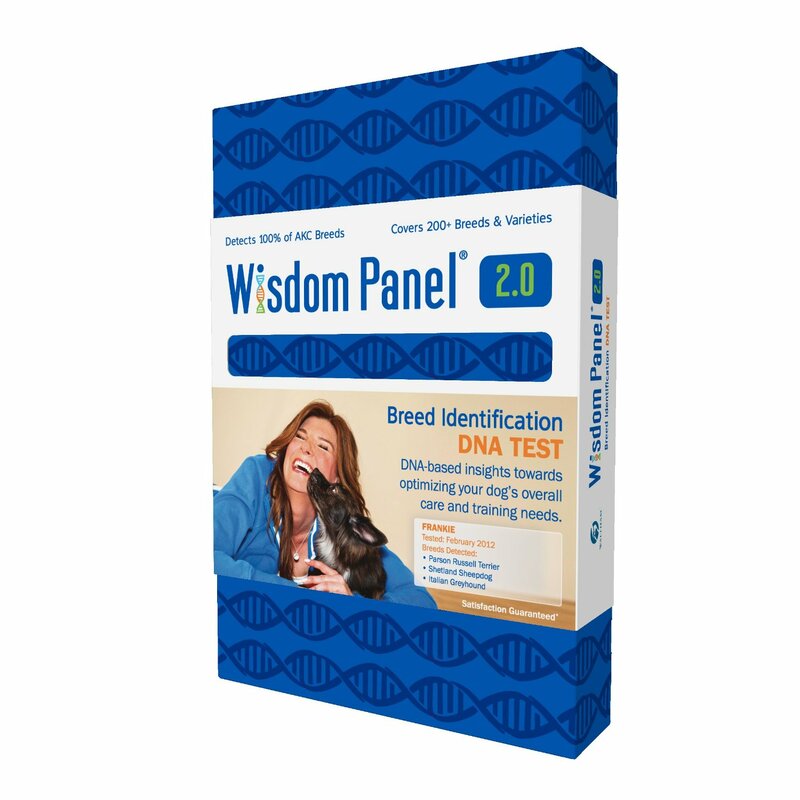 The test costs under $70 online and will give you piece of mind to know what the genetics of your dog. If you discover you were sold a dog that was not purebred as promised, you should demand a full refund, you will not be forced to return the dog, nor should you take any sort of allowance or settlement. Our Puppy Mill dog Our dog Georgie on the right with new friend who looks like a sister, also from a mill in the south. If they refuse to refund your money, do as I did and take out a summons in small claims court. Click here for more info and the forms you need to take legal action. Additional information about Monmouth County Small Claims Court. The cost is under $30, easy to complete the form and the chances are the store owners will not want to appear. If they don’t settle prior to the court date, they may never appear and you will win your case by default. If you need more information on the how to proceed, contact me for more information. 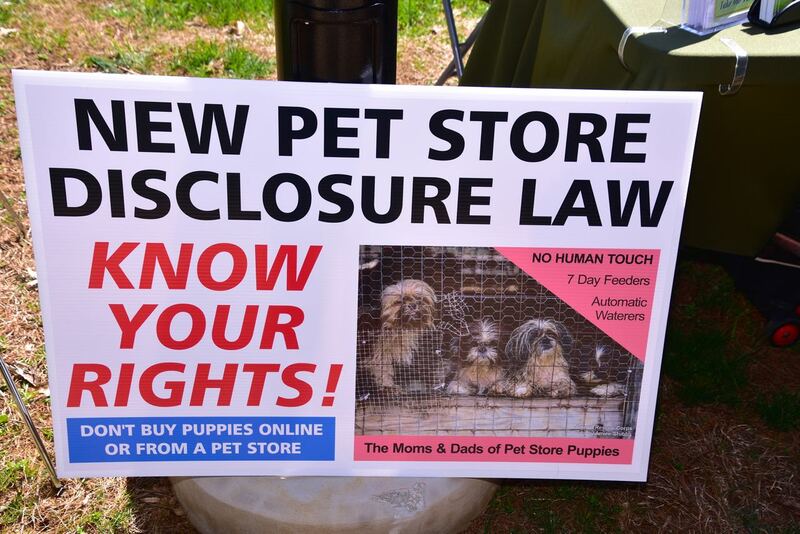 If more people sue these puppy stores, it wouldn’t take long to put them out of business. Be pro-active and if you are a victim of consumer fraud, take them to court. Once you take the test, you will also understand what traits your dog should exhibit and what their future medical history might be. Remember that those that buy a dog or cat from a pet shop only helps these businesses thrive. 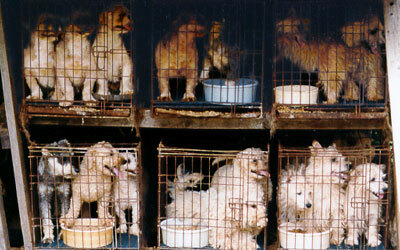 You support them, they support puppy mills and puppy mills kill and maim hundreds of thousands of animals each year. 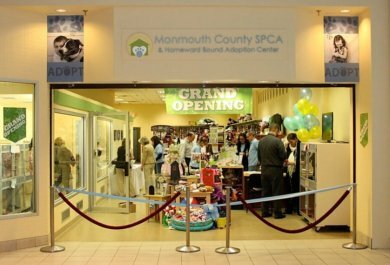 If you didn’t make the Walk this year and would still like to visit some cute young adoptables, visit the MCSPCA Homeward Bound Adoption Center at the Freehold Raceway Mall. The mall location specializes in puppies, kittens and a full assortment of funky toys, treats and treasures for all of the pets in your family. Visit the MCSPCA & Homeward Bound Adoption Center in Eatontown their main location and see the beautiful dogs and cats they have for adoption. For adoption information, call 732-542-0040. To learn more about the dog walk or vendor and sponsorship opportunities, they are open 7 days a week, so take the family down on the weekend and find a new friend to take home and love. The lives of thousands of animals are saved each year, and your support will directly impact our ability to save even more. Donate to this wonderful cause now. You can help save one of these animals with your donations. Click here to make your tax deductible donation. 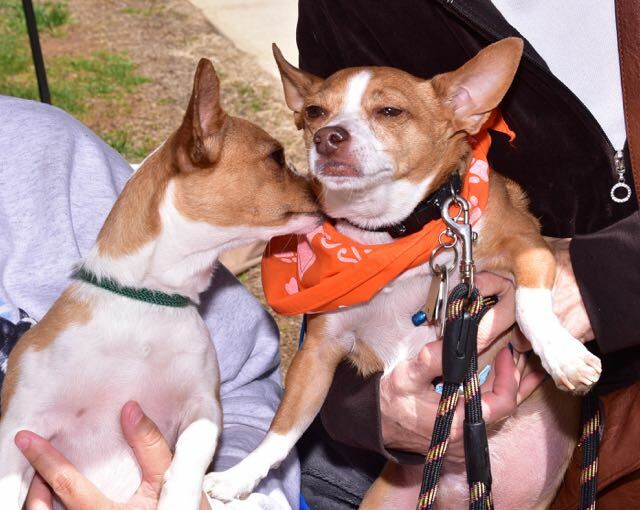 We covered the Colts Neck Pet Fair last year for the first time and it was a blast. So many activities to enjoy there and it was not only about dogs, but birds, horses and much more. You can see our article and video of the event last year and plan to attend this year. This is a must for every family and a great day of fun. Of course you can bring your dogs, birds and other animals too. Fun for the entire family. After doing much research and looking for an alternative to commercial product, which can’t be trusted these days, I came up with my recipe for doggie meatloaf. My video will show you how and now boasts over 94,000 views and is featured on YouTube. Georgie Meatloaf Article and take the time to make your loved dog fresh, wholesome food.